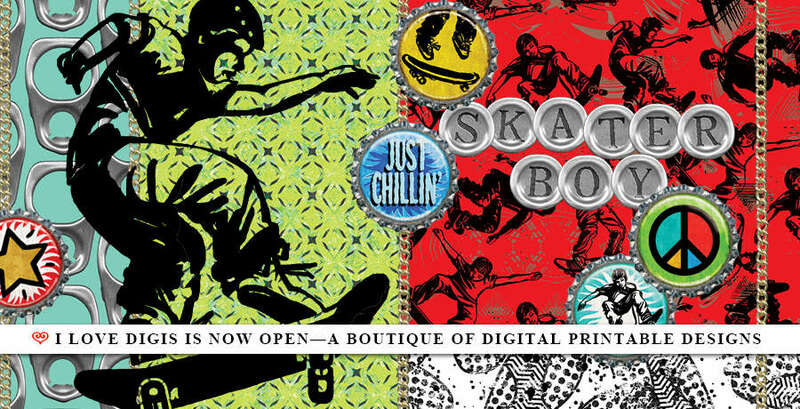 Skater Boy Collection for Skateboard Themed Crafts! This entry was posted in Uncategorized and tagged bottle caps, boys, cool, digital art, digital stamps, scrapbooking, skateboard, teens by SusieQ. Bookmark the permalink.